One of the great things about Narnia Elementary School is that it’s proved to be a seedbed for other youth ministries. Fusion is one ministry that works with a number of young people from Narnia. Fusion reaches out to junior high and high school kids in the community through music. It’s basically a music group led by mentors that teach kids how to sing, play instruments, dance, run sound equipment, and everything else related to music. In the meantime, the mentors are sharing their lives with the kids and helping them experience the love of God. Fusion practices for a concert. The first Fusion group was started in the Czech Republic but it’s become a movement that is growing to other countries including Slovakia. In 2011, Jana’s cousin, Draho Poloha, moved to Banská Bystrica to begin the first Fusion in Slovakia. This September they’ll be starting their third year. The group as a whole meets once a week after school but as the kids have become a community small groups and informal activities have grown up around the main meeting. And that’s the point, really. The idea is to invest into the lives of these kids and open up opportunities for sharing the gospel. In fact, every Fusion group is actually started by a local church that commits itself to take on this ministry. Draho is the head of Fusion in Slovakia and he’s helping to coordinate another Fusion that was started in Bratislava. Soon, it looks like another group will start in Senec, Slovakia and other congregations have expressed interest as well. As it turns out, quite a few of the kids in Banská Bystrica come from broken homes. The relationships that these kids form through Fusion are really important to them. Maybe that’s why they also seem to be so open to the gospel. Last summer, during Fusion’s first summer music camp, four or five kids made a decision for Christ. Our congregation is really small and right now we have a gap in this particular age group. There really is no ready made youth group for these new kids to plug in to. These kids are becoming our youth group, though, since they have been attending our church services and have formed relationships with the few young people their age we do have. This year’s summer camps have just ended. The Bratislava Fusion had a music camp two weeks ago and the Banská Bystrica Fusion camp ended last weekend. 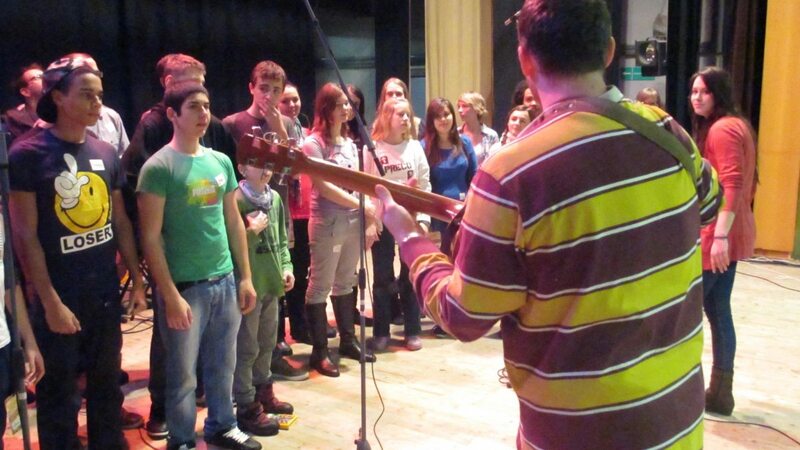 This year, four more kids from Banská Bystrica made decisions for Christ. It looks like we might have the beginnings of a pretty strong youth group after all. It’s great to see yet more signs of growth in our fellowship.